While I’m not a fan of all the pharmaceutical advertising on television, I have to admit that they can be brutally frank about disclosing potential side effects. If you take something for chronic indigestion, a variety of things could happen which will make you lose your appetite — which at least would make you less likely to suffer indigestion. If you take something for erectile dysfunction, the assorted side effects could really ruin the mood anyway. Borrowing creates a drag on future growth. This is both a macro- and micro-economic concern. From a macro-economic standpoint, a problem overhanging the United States is that huge levels of public and private debt outstanding represent past spending that must be paid for in the future. This will subtract from the money available for future spending, resulting in chronically slower economic growth. 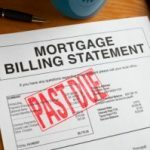 Now imagine the same thing on a household level — debts have to be repaid sometime; and when they do, your household budget is going to miss that money. Of course, as with pharmaceuticals, credit cards can normally be used safely and effectively. Even so, I’ve seen all of the above side effects play out in the lives of friends and acquaintances. The more people know about the potential side effects of borrowing going in, the more likely they would be to avoid them. Thanks William, and your point is right on the money – debt takes away your financial flexibility, and it is difficult to get through a downturn without some flexibility. I love the way you presented this. One more side effect: credit card debt will turn the speed bump of the next recession into a full-scale disaster. You can cut expenses when you’re laid off, but you can’t cut our debt service.